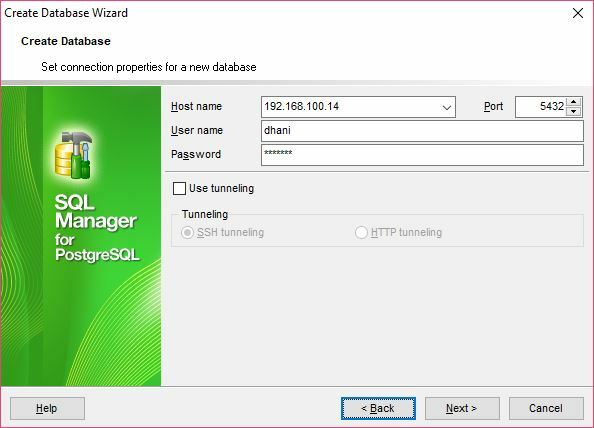 EMS SQL Manager for PostgreSQL full version is a great Windows application to manage your PostgreSQL server. It can connect to both local and remote PostgreSQL Server. If you don’t like repetitive command typing tasks, we recommend this software to manage your server. 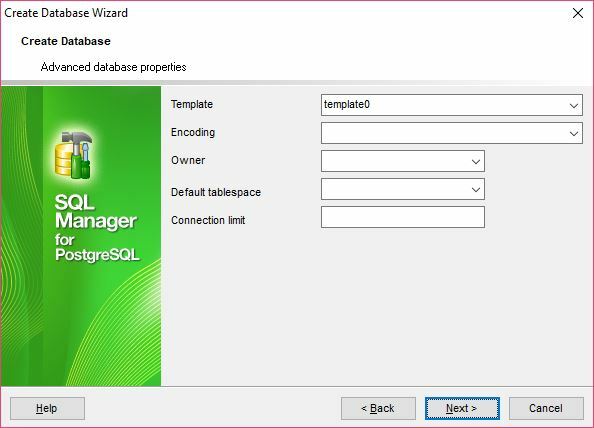 It is very easy to use EMS SQL Manager. First thing to do after installing EMS SQL Manager for PostgreSQL is to connect it to our server. 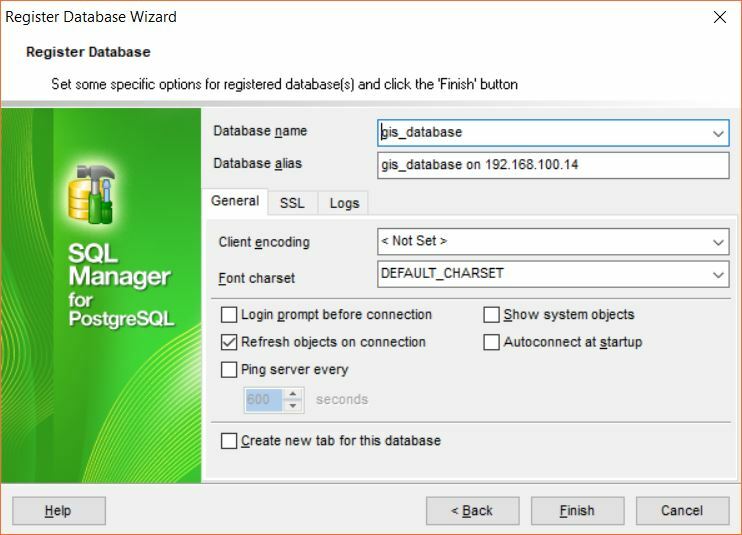 Open EMS SQL Mangaer and go to Database | Register Database. 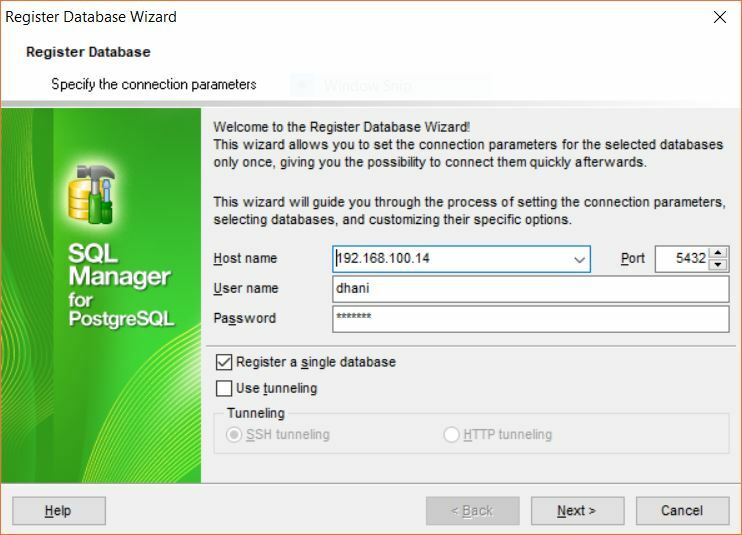 The Register Database Wizard will open up. Enter your server details such as hostname or IP address, user and password to connect to PostgreSQL. To download EMS SQL Manager for PostgreSQL, please visit this article. Click Finish to complete the database registration steps. Once we have connected to the server, we can now try to create a new database using EMS SQL Manager. 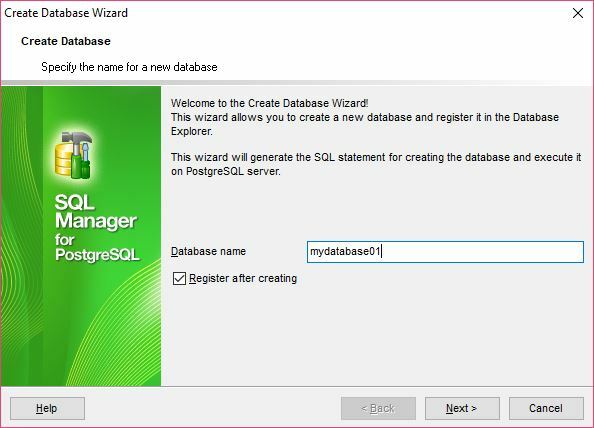 See how it is very easy to create new PostgreSQL database. In few moments, your new database should be ready. 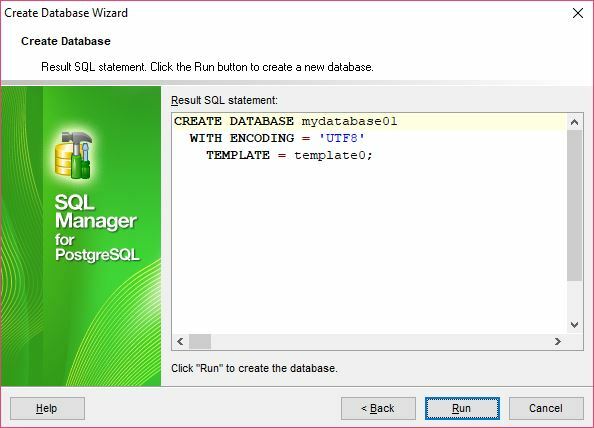 After you create new database, you can continue to create database objects such as tables, view, schema and many others. EMS SQL Manager for PostgreSQL full version give access to various features of PostgreSQL in easy way.